1. Write content don't just put up ads. 2. Don't repeat the same message over and over again. 3. Don't advertise get rich programs. If it's too good to be true then it probably is. 4. Don't continually bombard people with your blog at discussion boards or groups. 5. Write content that will be helpful to your readers. 6. Do not use automatic blog posting software. 7. Do not create articles only for the search engines. 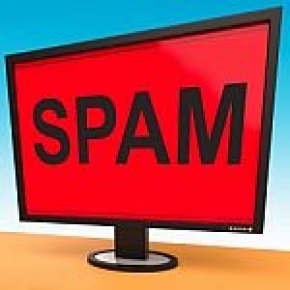 The bottom line is no one likes spam, and if people even think that your blog consist of it, they won't read it nor, will they refer it to other's. Your blog will become a vacant blog, and no one wants that. So, if you are thinking about starting a blog, or if you already have one, you should go over the splog checklist above to make sure you are not going or heading in that direction . If you still or not sure if your is a spam blog, just ask some bloggers, because people can smell splog miles and miles away. I like reading blogs, and I know you do too. Write something that you would want to read. No one just wants to read a bunch of advertisements, and even worse are advertisements for programs that are get rich quick schemes or not legitimate. Don't write a spam blog. Remember, no one likes spam and no one pays any attention to it.